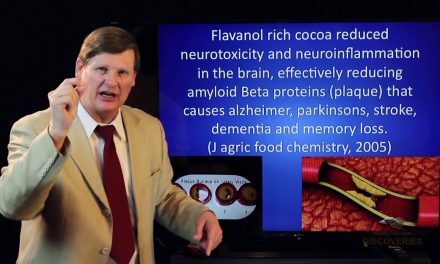 Dr. Gordon Pedersen Shares How to Neutralize Free Radicals by Eating Dark Chocolate: Dark Chocolates Can Be Good For You More reasons to eat dark healthy chocolateIf you had asked me three weeks ago if I had ever heard of a DNA MTHFR test, I would have said no. A genetic study called the Human Genome Project was completed in 2003. This study discovered an important gene for your health and well-being called the methylenetetrahydrofolate reductase (MTHFR) was often defective. Forget that for the last two weeks I have been non stop researching the MTHFR Gene mutation and its high incidence of autistic children with this gene defect as well as those with Fibromyalgia and Chronic Fatigue Syndrome. The most common gene mutation defect of concern is the C677T and A1298C. Apparently MTHFR mutations and their associated risks are inherited. Genetic counseling and testing is recommended for at risk family members. I have been dealing with chronic disease for many years. I have tried many things trying to improve my health. The best thing I ever did was to change my diet, stop eating processed foods and to add XO Raw Cold Pressed Chocolate to my diet. It is the only healthy chocolate on the market. Before increasing my antioxidants, I was always getting sick every time I turned around. Increasing antioxidants and eating probiotics in chocolate helped to strengthen my immune system. No matter what your dna says, it is important that you give your body the best food possible. I recommend including XO High Antioxidant Meal Replacement Shakes & XO healthy Chocolate squares. My favorite are the Xobiotic, XO Healthy Chocolate with Probiotic. I am Lynette Henk, XO Healthy Chocolate lover and promoter. I share the health benefits of increasing antioxidants by eating Raw Cold Pressed Healthy Chocolate. I can be reached at 941-216-5727, ly[email protected] or at ColdPressedChocolate.com. What Foods Can You Eat To Reduce Inflammation And Lower Risk For Chronic Disease? Your Sarasota Home Based Business Is As Easy As 1-2-3!